If you haven’t bitten off more than you can chew, revise your goals. Year 12 is a magical year. You are at the pinnacle of your school career. So many opportunities are open and your teachers are there to support you every step of the way. You will never again have such a dedicated group of experts focused on YOUR success. It’s time to be awesome. It’s time to create your vision. Use your teachers’ expertise and generosity to make Year 12 all it can be. Revise your study skills and get your study plan into place ASAP. There is no time to waste in Year 12. If you still haven’t discovered what you love, time to get stuck in to making a decision OR start looking at opportunities to expand your knowledge and experience through a Gap Year. Some of the most interesting adults still haven’t decided what they want to do, they just keep doing stuff that they love. Explore scholarships by subscribing to the scholarships news at the Good Universities Guide and Curtin University. Check out scholarships and awards in whatever field you are thinking of. There are so many possibilities and at times NO ONE applies for the scholarship! 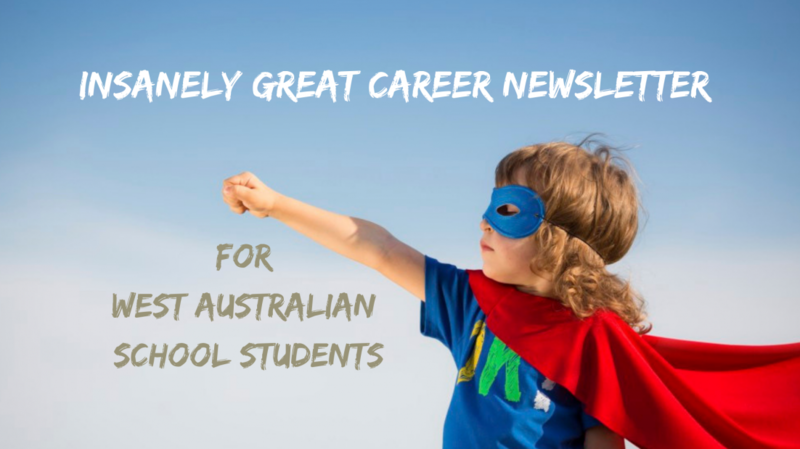 Keep an eye on this newsletter for key dates and deadlines for UMAT, TISC preferences, scholarships, and TAFE courses and other opportunities to unearth your unique talents. Check the School Curriculum and Standards Authority Year 12 Information book. Categories: Career Advice | Tags: High School, Student life, Year 12 | Permalink. Year 11 students will learn to aspire to be all they can be through this one day workshop. In Year 11 the world changes. Being smart isn’t enough. Students need a Gigadream to carry them forward. They need a goal that helps them to make decisions consciously and deliberately. To discuss your needs and design the bespoke workshop please contact Bev.J@infocus-careers.com.au or ring M0434056412. Categories: Career Advice | Tags: Career Options, High School, Student life | Permalink. This is a great site for senior school students to find out about careers. Curtin University has created it so expect a Curtin slant. Categories: Career Advice, University | Tags: Career Options, Dream, Passion, Quiz, Student life | Permalink.